Born to Frank and Jackie Stallone on July 6th, 1946, Sylvester Stallone's life was difficult right from the beginning. 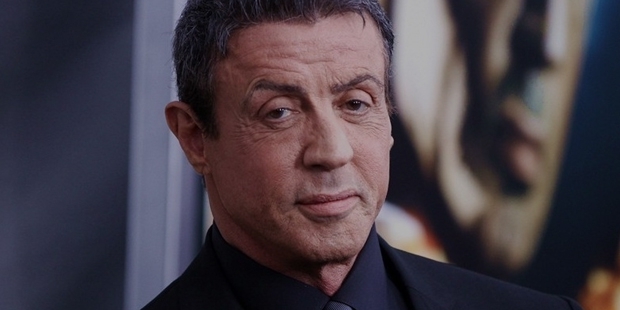 During a complicated and difficult birth, doctors accidentally severed a facial nerve – an accident that resulted in Stallone's unique facial expressions and slightly slurred speech, two of his future trademarks as an actor. His family lived a troubled life. Stallone's mother, Jackie, operated a gym in Washington DC, one of the first women-only gyms in the country. His father, Frank, was a hairdresser. The family's parents fought constantly, leading to Sylvester and his younger brother Frank spending their youth bouncing from one New York City foster home to another, racking up foster families on a frequent basis. Throughout his early life, Stallone held a variety of odd jobs. He worked as a laborer, saving money carefully to invest in his dream career – to be an actor, a director, and an all-round star. His financial success was very limited during the early stages of his career, and during Stallone's first marriage, it wasn't uncommon for financial arguments to drive him from his wife for weeks at a time. However, Stallone understood that perseverance and hard work are often enough to make anyone a success, and applied his philosophy to his daily life. He started writing scripts, coining future films like Paradise Alley in his time away from work. He eventually stopped working to write full time, pausing his only source of income and leading to constant disputes with his then wife. His writing took off, and he managed to sell one of his first scripts, Paradise Alley, for a lowly $100 in total. The income, however, didn't matter – all Stallone had wanted was a sign that his films were worth something. He started writing prolifically and starring in bit parts to get experience in acting, and eventually penned the script to what would become his first big hit. In the mid-1970s, Stallone was broke, cold, and desperate for a break. He had become so financially challenged that, in a fit of desperation, he sold his dog to a stranger in order to cover his utility bills. He needed to find success now, and he began pitching his script for Rocky – an underdog sport story – to producers and film companies in the New York City area. Eventually, he found a buyer. A production company was willing to offer him a six-figure sum for his script. It was a huge amount of money, particularly for Stallone. However, their offer required that someone else play the lead role; Stallone wasn't to feature in the film at all, aside from a credit for writing. He refused, and told them that he would only accept their offer if he could be the star. They negotiated, fought, and negotiated some more, and eventually ended up giving Stallone an immense pay cut – somewhere close to ninety percent – but allowing him to play Rocky. With a shoestring budget and a tightly-packed production schedule, Rocky was a hectic and challenging production. The movie, however, was packed with heart, and was a hit with critics and audiences alike. the would-be champion against harder and harder enemies over time. He took on an iconic role in First Blood, creating an equally successful franchise in the later Rambo series, and defining a generation's action films. Later in his career, with millions of dollars in the bank and hundreds of millions of fans around the world, Stallone looks back on a career that exists entirely due to his drive and ambition. He took an incredible risk in turning down six figures for Rocky, but in his mind, the biggest risk was missing out on a chance to live his dream, even if it meant taking a very short-term pay cut.